The best credit card for earning Delta SkyMiles may not be so obvious. Some don't even say "Delta" on them. Delta's partnership is exclusively with American Express, a CreditDonkey partner. They offer multiple co-branded cards with AMEX. But there are also many American Express cards where you can earn AMEX Membership Rewards points that you can transfer into Delta SkyMiles. Each credit card is different in its own way. Some may give more perks, while some may fit your everyday spending pattern better. Which one is best for you? Let's go over their options and differences. Do you live near a Delta hub? A Delta credit card may be worthwhile to consider. The biggest Delta hubs in the U.S. are: Atlanta (ATL), Detroit (DTW), Minneapolis (MSP), New York (LGA & JFK), Salt Lake City (SLC), Los Angeles (LAX), Seattle (SEA), Cincinnati (CVG), Boston (BOS), and Raleigh (RDU). How much do you value perks and benefits? Is getting things like free checked bags and priority boarding important to you? If so, you'll want to look into one of the AMEX and Delta co-branded cards. These are the only ones that will give you Delta-specific perks. The Gold Delta SkyMiles offers good perks for just an annual fee of $95 ($0 introductory annual fee for the first year) (See Rates & Fees). 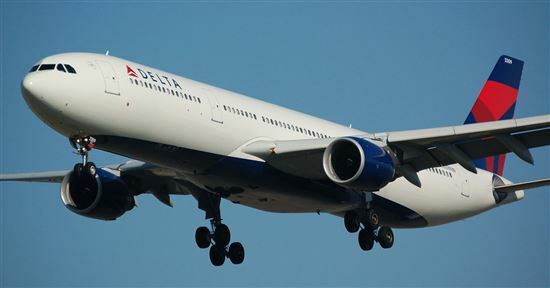 Delta purchases include: Delta flights booked directly with Delta, Delta baggage fees, in-flight meals and entertainment, seat upgrades, change fees, Delta SkyClub membership or passes, Delta Vacations packages, and Delta gift cards. On-board wifi does NOT qualify as a Delta purchase. What about luxury benefits? The AMEX Platinum is a popular card for traveling in style. Do you prefer more flexibility? If you don't want to be limited to just Delta (and its partners), then you'll want to opt for one of the AMEX Membership Rewards cards. With these cards, you'll have the option to transfer points to other popular North American partner carriers as well, including JetBlue, Hawaiian Airlines, and Air Canada. You can also use points to book travel on amextravel.com, with any airline for any dates. Just note that with these cards, you'll lose Delta perks like free checked bags and priority boarding. How much do you fly a year? Most travel reward cards come with an annual fee, so you'd have to be a semi-frequent flyer to make it worthwhile. If you're just an occasional vacationer, then look into the AMEX Everyday, which has no annual fee. 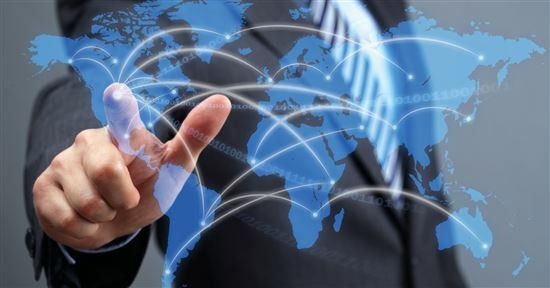 Do you fly Delta for business? If so, look into the Delta business credit cards. They offer some extra features such as employee cards with spending limits and Spend Manager mobile app that help keep track of your receipts. If you want access to Delta Sky Club, you might also want to consider Delta Reserve or American Express Business Platinum. What is your everyday spending? A lot of travel reward cards focus more on perks and not on a high points-earning structure. If your goal is to earn lots of points, look at AMEX Gold Card or AMEX Everyday. In our opinion, these cards have reward structures better suited for everyday spending. Gold Delta SkyMiles® Credit Card from American Express offers 30,000 bonus miles if you spend $1,000 on purchases within the first 3 months of opening your new account. In addition, you can earn a $50 statement credit after you make a Delta purchase within your first 3 months. This card earns airline miles: 2 miles for every dollar spent on eligible purchases made directly with Delta. Earn 1 mile for every eligible dollar you spend on purchases. There is a $95 annual fee ($0 introductory annual fee for the first year). This co-branded Delta card rewards you for your loyalty. The value in this card is in the benefits. You get Delta-specific perks such as the 1st bag checked for free (for up to 9 people on your reservation) and Main Cabin 1 Priority Boarding. Additional benefits include reduced fee for Delta Sky Club lounges and discounts for in-flight purchases. The annual fee is $95, but it's already more than worth it if you just fly once a year with a family of four (or twice a year with one other person), and each person checks a bag. And plus, there is a $0 introductory annual fee for the first year (then $95). In addition, you can also donate your SkyMiles through Delta SkyWish to support charities. Donate your miles to Hero Miles and Luke's Wings to help unite wounded or ill service members and veterans with their families. The Platinum Delta and Delta Reserve are the luxury siblings of the Gold Delta SkyMiles. You earn Medallion Qualification Miles (MQMs) after you spend a certain amount a year, which can buy you more benefits like seat upgrades. You earn bonus SkyMiles (Annual Miles Boost) if you make a certain amount of purchases on your card each year. You get a round-trip companion certificate each year, subject to terms and conditions. So are they worth the higher fees? The Platinum Delta SkyMiles has an annual fee of $195 . We'd say that if you take advantage of all the perks, like free checked bag and the companion certificate, that could potentially justify the fee. And if you're a loyal Delta flyer, you may like the MQMs. But you would have to be a big spender. For most Delta fans though, the Gold card is enough. In our opinion, the Platinum Delta and Delta Reserve are for big spenders who fly Delta a lot. Get a flight discount when you Pay With Miles. This benefit is only for those who own Delta Gold, Platinum, or Reserve credit card. If you have at least 5,000 miles (per passenger on your itinerary), you can book a flight with your miles and receive a discount. Each 5,000 miles equals $50. And you still get to earn elite MQM points. 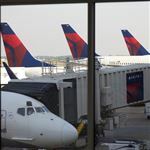 Depending on the cost of the flight, this option could even cost less miles than a standard SkyMiles award ticket, especially during a Delta fare sale. Tip: Credit card refer a friend program allows you to earn more miles by recruiting your friends and family for the card that you own. This is a smart way to earn more Delta SkyMiles. Usually, the limit is 55,000 SkyMiles per year through this program. Not all Delta cards participate at all times and the payouts change from time to time. Usually, it's 5,000 bonus SkyMiles per referral, but sometimes, it's bumped up to 10,000 SkyMiles. 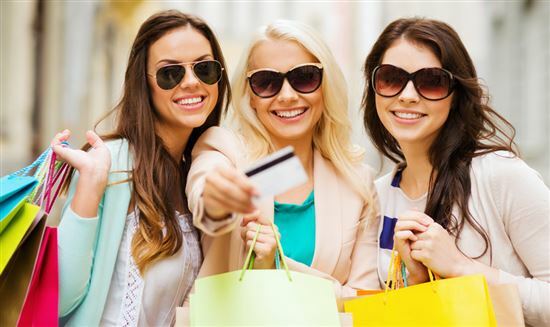 American Express® Gold Card earns 35,000 Membership Rewards® Points after spend $2,000 on eligible purchases with your new Card within the first 3 months. This card earns 4x points at U.S. restaurants. 4x points at U.S. supermarkets (on up to $25,000/year in purchases, then 1x). 3x points on flights booked directly with airlines or on amextravel.com. You can earn up to $10 in statement credits monthly when you pay with The Gold Card at Grubhub, Seamless, The Cheesecake Factory, Shake Shack, and Ruth's Chris Steak House (enrollment required). There is a $250 annual fee. This card includes benefits for travelers: There is no foreign transaction fee and a $100 airline fee credit to cover up to $100 per calendar year in incidental fees (such as baggage fees) at one selected qualifying airline. Terms apply. This card offers a nice balance between earning rewards and travel perks. With bonus points on purchases at U.S. restaurants and U.S. supermarkets, you'll earn Membership Reward points fast, which you can then transfer into Delta SkyMiles. Airline Rewards: Earn 2 miles for every dollar spent on eligible purchases made directly with Delta. Earn one mile for every eligible dollar you spend on purchases. Airline Rewards: Earn 3X Membership Rewards® points on flights booked directly with airlines or on amextravel.com. Settle into your seat sooner with Main Cabin 1 Priority Boarding. Airline Status: $100 Airline Fee Credit: up to $100 in statement credits per calendar year for incidental fees at one selected qualifying airline. If you're not sure how much you'll be flying and just want to save for a future vacation, then paying for a card with an annual fee may not make much sense. Blue Delta SkyMiles® Credit Card from American Express offers 10,000 bonus miles if you spend $500 on purchases within the first 3 months of opening your account. This card earns airline miles: 2 miles per dollar spent at U.S. restaurants and on purchases made directly with Delta. Earn 1 mile on every eligible dollar spent on other purchases. There is no annual fee. Terms apply. The Platinum Card® from American Express offers 60,000 Membership Rewards points if you spend $5,000 on purchases with your new card within the first three months of opening your account. You earn 5x Membership Rewards® points on flights booked directly with airlines or with American Express Travel. This is a charge card so you will have to pay your balance in full each month. There is a $550 annual fee. This card includes several benefits for travelers: This card offers Uber VIP status and free rides in the U.S. up to $15 each month, plus a bonus $20 in December. That can be up to $200 in annual Uber savings. This card also offers up to a $200 airline fee credit per calendar year to cover baggage fees and more at your selected qualifying airline. This card gives you access to 5 airport lounge networks including The Centurion® lounge network, The International American Express lounges, Delta Sky Club® lounges, Priority Pass(TM) Select, and Airspace Lounge. Enrollment required for Priority Pass Select. There is no foreign transaction fees. This card also gives you access to Platinum Card® Concierge. You can enroll to get complimentary Hilton Honors Gold Status and complimentary Marriott Bonvoy Gold Status. Terms Apply. 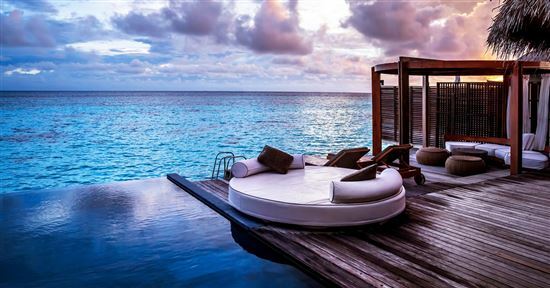 The AMEX Platinum is the, well, platinum standard when it comes to luxury travel benefits. It has a steep annual fee of $550 (See Rates & Fees), but the multitude of perks can more than make up for it. You get access into 5 airport lounge networks, including Delta Sky Club lounges. You even get a $200 airline credit each year for a specific airline of your choice. So you can choose Delta and get statement credits toward incidental airline fees such as baggage fees. But there's no Priority Boarding with this card. Other valuables benefits include either TSA Pre or Global Entry application fee statement credit, Uber savings, complimentary Boingo Wi-Fi, and Platinum concierge service. Note: The Platinum Card is a charge card. That means you have to pay your balance in full each month. In comparison, the Gold Delta SkyMiles is a credit card, which allows you to carry a balance. 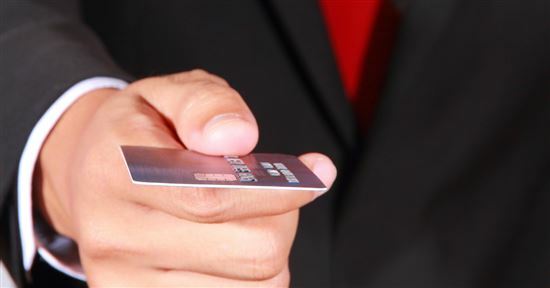 In our opinion, if you do plan to regularly carry a balance, consider a low interest credit card instead. Did you know? The extra wide-body Airbus A350 will replace the Boeing 747's as Delta's new flagship aircraft for long international flights. The Airbus A350 is flying select routes to Asia. This 306-seater aircraft includes luxurious business class Delta One Suites with lay flat beds and privacy door, and a Premium Select section with extended recline and leg rests. What to fly in style in the A350 Delta One Suite? It could cost as much as 200,000 SkyMiles one-way depending on the route and date. About Delta SkyMiles: What Are They Worth? Delta no longer publishes an award chart, but here's a general idea. Domestic one-way flights within the continental U.S. can be as low as 10,000 miles. For international flights, awards are priced by regions. When we checked in May 2017, we found future award flights from the U.S. to Europe available from 60,000 miles (in economy). Trips to Mexico, Central American and the Caribbean from 35,000 miles. And flights to Asia from about 70,000 to 80,000 miles. Miles are for round-trip flights. For one-way, divide by half. Tip: Don't want to earn Delta SkyMiles? 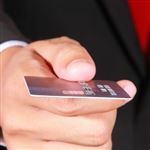 You may consider using a travel rewards credit card that earn miles you can redeem for a statement credit against recent travel purchases. That way, you don't have to worry about award charts and seat availability. And plus, you can redeem them for any airline, not just Delta. Tip: Delta doesn't charge a fuel surcharge on most partner flights (when the flight originates from the U.S.), such as on Air France, Virgin Atlantic, Virgin Australia, and China Airlines. This is a good chance to fly to Europe, Australia, or Asia without the heavy surcharges. However, note that if you are flying back to the U.S. using SkyMiles, you will be levied surcharges. If you want to avoid fuel surcharges at all costs, it may be better to just use SkyMiles to fly to your destination, and pay for your own flight back. Or use another frequent flyer program on the way back (such as United, which never levies surcharges). There are many cards you can use to earn Delta SkyMiles. Picking the right one for you depends on what you value, how often you fly, and your spending habits. If you love perks like free checked bags and priority boarding, then look into one of the co-branded cards. The Gold Delta SkyMiles will be adequate for the majority of Delta flyers. If you want more flexibility and options, then you will like one of the AMEX Membership Rewards cards. Did you know: Delta has partnered with Airbnb for a chance to earn more SkyMiles. We love Airbnb for a more unique and local way to experience a city. You must use Delta's Airbnb page and sign up with your SkyMiles membership number. This is a good way to earn Delta points even without a Delta credit card. As a guest: If you're new to Airbnb, you get 1,000 bonus SkyMiles for a stay of at least $150 (or 500 miles for a stay of at least $75), PLUS a $25 credit. For existing users, you get 1 SkyMile per $1 on all qualifying stays. As a host: You can rent out your property or a spare bedroom and earn SkyMiles too. You must be a new host who have never hosted on Airbnb before. You can earn 2,500 SkyMiles when you earn $250 of host earnings, 7,500 additional SkyMiles after a total of $1,000 in host earnings, and 15,000 additional SkyMiles after a total of $2,500 in host earnings. 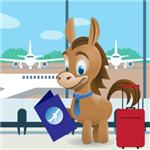 Disclaimer: The information for the Capital One® Venture® Rewards Credit Card, The Amex EveryDay® Credit Card from American Express, Platinum Delta SkyMiles® Credit Card from American Express, and Delta Reserve® Credit Card from American Express has been collected independently by CreditDonkey. The card details on this page have not been reviewed or provided by the card issuer. Leave a comment about Delta Credit Card: Which is Right for You?